Victoria H. Smith: Winner of The Crimson Hunt Release and Blogversary Celebration! 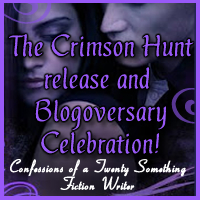 Winner of The Crimson Hunt Release and Blogversary Celebration! Hey, all, so I'm going to make this quick because I don't think any of you are here to see me talk! I just wanted to thank everyone for entering. 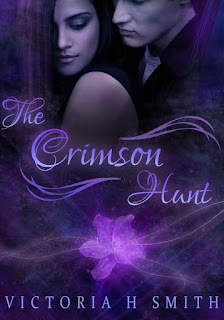 I had a great release month, and can't thank you all enough who purchased The Crimson Hunt. This has also been a great year for my first month of blogging and I thank you all for welcoming me into the blogging community. Without further ado, the winner!!!! Note - new winner will be chosen if directions aren't followed. You win all this swaaaaaaaag below!!! I will be emailing you following this post. You must email me back your full name and address by 12:01 a.m. December 19th. This is a big prize so if I don't hear from you I'm moving onto the next entry. Woot! Congratulations Lisa!! :)) That is some serious swag. Oh my gosh, I can't believe I won, so many great books, and the kindle!!!!! Thank You for the amazing giveaway!! Holy Moly! Wow! Congrats Lisa!